Hi, thank you for visiting the ISW Training website. My name is Ian Wheeler and we’re based in Wellington, Somerset. Since the age of 21, I have been a retained fire fighter and in this time I have also worked in other areas of public service, particularly working in care with and helping a wide range of children and adults. Understanding and helping people is my passion and providing people with training courses is the perfect outlet. It all started in 2011, when I was asked to start providing workplace staff training. I started with providing fire training due to my fire fighting and operation experience. It soon came apparent that I needed a seperate training qualification to do this full time in the forth coming years. 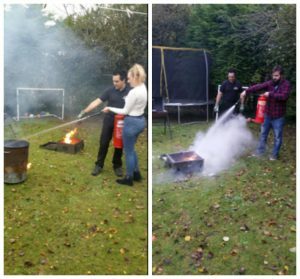 As a result, I completed my training qualifications and gained my PTLLS and can now provide first aid, fire marshal and manual handling training courses to a wide range of individuals and companies. I am extremely passionate about keeping people safe and giving them the confidence and knowledge they need to actually deal with serious emergencies if and when they were to happen. I’ve had first hand experiences with applying the skills I teach within the training courses I provide, so understand the importance of giving people these skill sets.